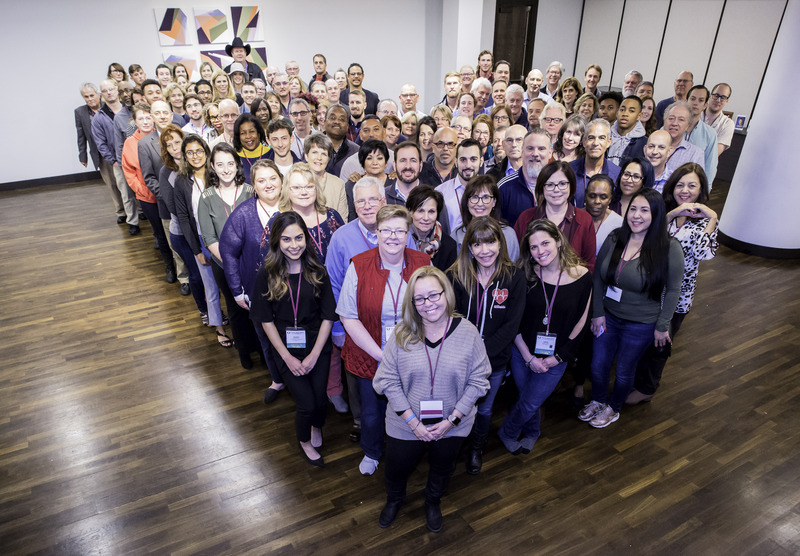 The 14th Annual National Heart to Heart conference – the only national event that is expressly dedicated to Sudden Cardiac Arrest prevention in youth – was held in Houston, Texas last month. This is not your average health conference. There is so much more to Heart to Heart than meets the eye, including the opportunities to speak with physicians and other cardiovascular care providers, participate in sessions covering the latest research and legislation, as well as network with colleagues who advance model sudden cardiac arrest prevention programs across the country. Attendees were able to get CPR/AED certified, speak with parents whose children have been stricken by SCA, and discuss the best ways to create a culture of prevention in our schools and communities. Additionally, we honored the children of Parent Heart Watch who were lost to SCA by planting a magnolia tree in The Willow Water Hole Conservancy Tribute Grove. Heart to Heart is a dynamic and transformative platform that cultivates and supports new prevention champions and collaborations to protect young hearts. The event has been the genesis for continuing research on SCA in youth and the inspiration for change across education, sports and medical communities. The conference was also an opportunity to honor recipients of this year’s Founders’ and Heroes for Young Hearts awards, which recognize individuals who demonstrate a continuous commitment to raise awareness of sudden cardiac arrest in youth in their local communities by supporting the Parent Heart Watch mission of protecting youth from preventable sudden cardiac death. Nominees are open to the public and Parent Heart Watch membership is not required. Susan joined Parent Heart Watch (PHW) in 2007 after her son was diagnosed with a congenital heart defect and served on the PHW Board of Directors as secretary from 2007 to 2011. Her leadership and representation at national conferences and legislative hearings in support of AEDs in schools along with her generous donations to PHW have helped to spread the message and cultivate more support and champions to protect youth from SCA. Dr. DeBauche was recognized for his work providing more than 100,000 youth heart screenings, donations of EKG devices to Houston high schools, and his contribution to the advancement of sudden cardiac death prevention in youth. As a pre-med student diagnosed with a heart condition that puts him at risk for SCA, Xavier was recognized for his commitment to champion SCA prevention by volunteering at youth heart screenings, being a media resource, and sharing his story with key stakeholders at the National Association of Intercollegiate Athletics. Amy has inspired an entire movement in her rural community centered around SCA prevention in student athletes. Her Heart of a Husky program provides free EKGs and sports physicals to high school athletes. Amy was able to recruit and rally the support of local doctors, volunteers, and sponsors to contribute to the success of this program, which is now being replicated in neighboring rural communities. Lexi experienced SCA while working out at her local fitness center and was saved by a bystander who used CPR and an AED to restart her heart. She has put in extraordinary work setting up and leading heart screenings across Central Florida and affecting county and state-wide legislation in Florida to mandate CPR training in schools. Auxiliary members Dana Holden, Sherri Junie, Melody Stephens, and Amy Travioli have either lost a child to SCA or had a child experience an SCA event. All four women have their own foundations and formed the Women’s Auxiliary to help and support each other as they advance SCA prevention across Central Texas. In just 12 months, they have screened more than 12,000 youth, trained 3,000 in CPR and AEDs and increased awareness to thousands more. The Hero in Memoriam Award was given to Scott Driscoll, who passed away in August 2018. A tireless community champion and fearless advocate, he also served on the PHW Board of Directors. After losing his son Quinn due to an undiagnosed heart condition, Scott founded the Quinn Driscoll Foundation to raise awareness about SCA in youth and partnered with their local hospital to raise funds for AEDs. This year’s event sponsors included the Louis J. Acompora Memorial Foundation, Cardiac Science, School Health, Boston Scientific, the Dominic A. Murray 21 Memorial Foundation, Abbott, the Eric Paredes Save A Life Foundation, Revive, Cardio Partners, Emerg-A-Center, Medtronic, Physio Foundation, Via Heart Project and ZOLL. The annual event is open to anyone interested in sudden cardiac arrest prevention in youth. The 2020 event marks the 15th anniversary of Parent Heart Watch and is slated for January 17 – 19. Watch www.parentheartwatch.org for announcements on location, registration and Heroes for Young Hearts call for nominations.